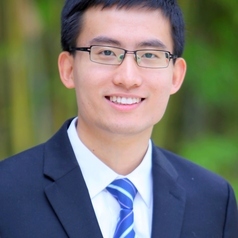 Liangfei Qiu is an Assistant Professor in the Department of Information Systems and Operations Management at the Warrington College of Business Administration, University of Florida. He received his Ph.D. in Economics from the University of Texas at Austin. He also holds an M.S. in Economics from the University of Texas at Austin, an M.A. in Economics from CCER, Peking University in China, and a Bachelor’s degree in Economics from Zhejiang University in China. His current research focuses on location-based social networks, smart data pricing, economics of information systems, prediction markets, social media, procurement auctions, and applied game theory. His research has been published in journals such as Journal of Management Information Systems, and Decision Support Systems.